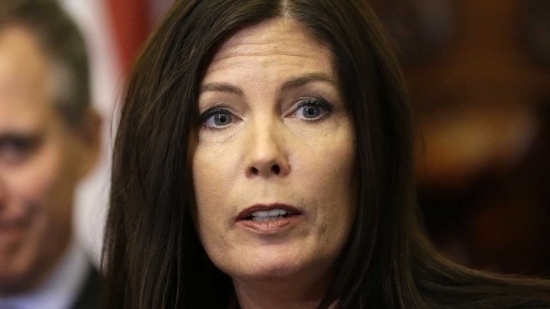 Montgomery County District Attorney Risa Ferman announced charges today against Pennsylvania Attorney General Kathleen Kane. The charges come after a lengthly investigation by the Montgomery County District Attorney's office after a grand jury recommended charges against the state's top prosecutor back in January. Kane is charged with obstruction of administration of law, official oppression, criminal conspiracy, perjury and false swearing. She is accused of leaking confidential information from a 2009 grand jury investigation to the Philadelphia Daily News to embarrass political rivals and lying about it in front of another grand jury last year. Kane has maintained her innocence and vowed to stay in office. Pennsylvania Governor Tom Wolf is calling on her to step aside. 49-year-old Kane is expected to turn herself in within the next two days. Governor Wolf said today, “In this criminal complaint, Attorney General Kathleen Kane was charged with official oppression; she was charged with obstruction of administration of law; she was charged with perjury. These are the charges and there are other serious charges, and they are troubling... I am calling on her to step aside, step down as attorney general, because I think she cannot do what she has to do as the top law enforcement officer in Pennsylvania while she's facing these serious charges." Officials have confirmed that the body found in Darby Creek on Wednesday afternoon belongs to an 11-year-old boy missing since Monday. Laquan Lattimore of Folcroft, Delaware County had been missing since 3 p.m. Monday. He was last seen in the area of King Avenue and Chester Pike on his bicycle. Authorities say that no foul play is suspected and that it appears his death was accidental. The exact cause of death has not been determined.